I finally got around to buying myself a wildflower field guide, so I can start identifying the many flowers I have come across and photographed over the years. Of course this has turned out to be much harder than I thought it would be. Like birds and insects, wildflowers also have too many species to fit into a practically sized field guide. Like birds and insects, wildflowers can also look different at different times of the year or at different stages of their lives, and can look different in different parts of the country. Wildflowers can also have completely different colors within the same species. 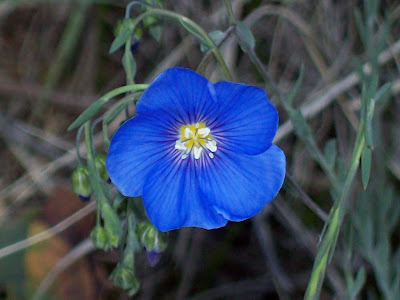 But I am pretty sure the flower pictured above is Wild Flax (Linum lewisii). I found it in Red Rocks Park outside of Denver. Actually, the common name of this flower is Wild Blue Flax, but since it can also be found in white, yellow and red, I am going to simplify things for us wildflower newbies and just call it Wild Flax. I was lucky to find such a bright blue specimen - the photo in the field guide and most of the photos I found online were pale blue. What gives it away as Wild Flax are the shape and number of petals and stamen (5 of each), the shape and color of the veins in the petals, the linear shaped leaves, and the drooping stems. Wild Flax is the untamed uncle of Common Flax, the crop plant that gives us linen fibers, flax seed, and linseed oil. 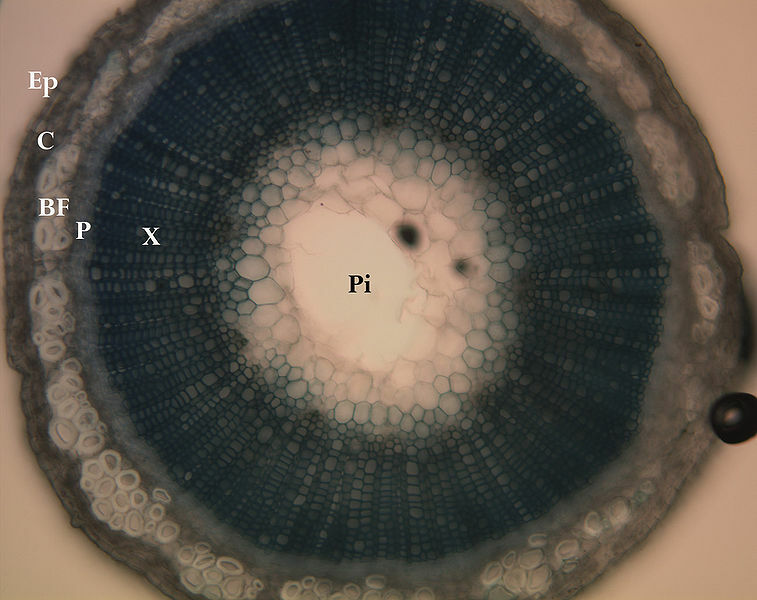 Here is a cross-sectional photo of a flax stem from Wikimedia. 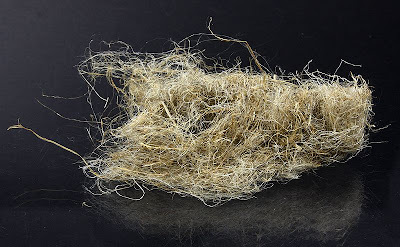 The white fibers just inside the outer layer (marked "BF") are the "bast fibers", which are used for making linen. Linen is believed to be the first plant fiber used for making fabric, about 30,000 years ago. I think it is amazing that our ancestors figured out how to do this. I can understand them making clothing out of fur or wool, since they saw how it kept animals warm. And I can understand why they would eat certain plants, possibly after watching animals safely eat them. But to look at a beautiful blue flower and say, "I bet I can extract the fibers from that stem and make myself a loincloth" is a great intellectual leap. We all owe that person a debt of gratitude! From the vogue earth, fake prada bags outfits has developed into a ‘trends’ with retail stores world wide. case outfits model is usually the favourite outfits in past times. fake ferrari watches never ever indicate effectively towards movements on the beyond; quite, they have a suggestions for mixture in addition to fit models intended for anything completely new and different. replica dior models can be built-into regular outfits models subsequently ıt had been modified to help building a absolutely current model. Pairing in addition to related replica chanel handbags in addition to Current outfits portions is usually an highly sought after core vogue tendency mainly because will probably be an exceptionally one of a kind model. This glam steel glimpse is usually a grungy model that is certainly relying on some sort of black medieval palette connected with blacks in addition to greys combined with steel celeb studding. The looks is usually hooked in concert by means of organizing spanning a parka such as fake handbags perfect for in the event the item establishes to help water! This purpose seriously isn't to help indicate effectively this movements on the beyond, although to reinforce modern-day ways by building a little classicism. Human history is usually loaded having one of a kind vogue.